Simply Salmon - Extending the Season! Here's some ideas to bring home some of the last filets and preserve that wonderful full flavor for some pampered dishes. A romantic dish for 2, this dish is both simple, yet exotic and silky on the palate with the crisp, slightly sweet undertone of vodka to offset the rich cream and fish. I’ve used a salmon that has also been cured with the vodka, and the recipe follows. 1/2 pound pasta, either penne or a strip variety such as linguine. Cook the pasta according to directions and keep warm. The dish will take about 6-7 minutes to cook so time the pasta so it isn’t sitting too long. Meanwhile, melt the butter over medium heat and sauté the shallot until it starts to soften. Add the vodka and cook for 1 – 2 minutes then the cream and tomatoes. Cook for another 2 mintues then add the chopped basil and remove from heat. Add the salmon and allow to just heat through. Season to taste. 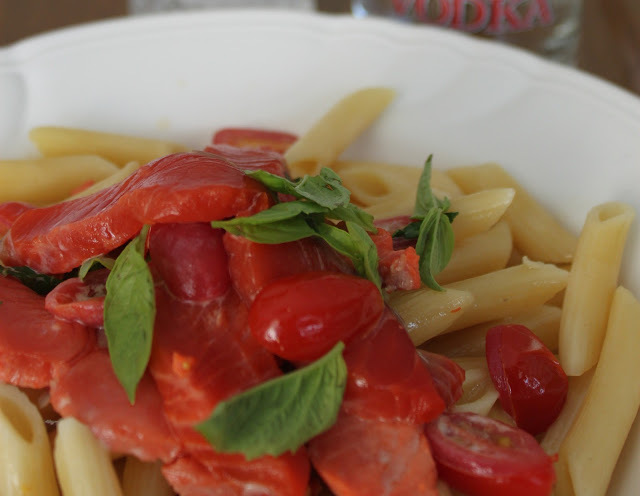 To serve, spoon hot pasta onto plates, spoon over the salmon sauce and top with leaves of basil. 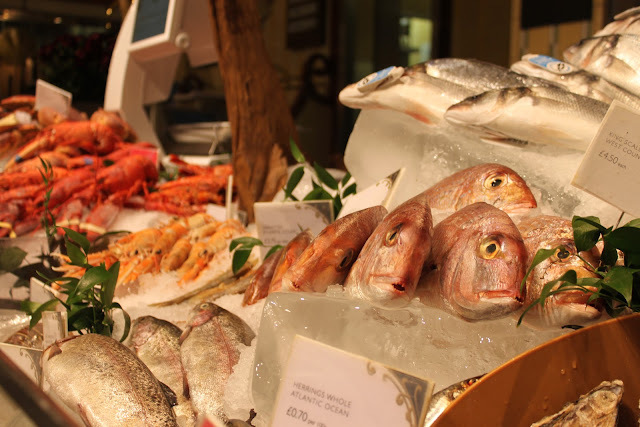 Prepare the fish the day before using.In a bowl, mix salt, sugar, fennel and vodka together to form a paste. Place salmon skin-side down in a large shallow dish and smear salt mixture all over flesh. Cover with plastic wrap and refrigerate a minimum of 12 hours. 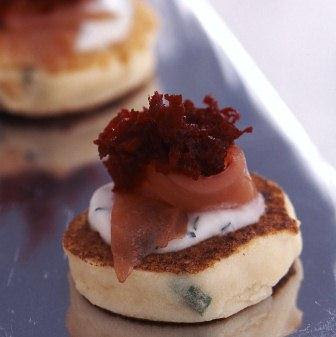 Pikelets are an Australian term for miniature pancakes, usually served with jam and cream. I’ve made a savory version using potato and chives, to be served crisp and warm with smoked salmon and beet. Perfect party food or an appetizer. In a large bowl or blender, combine the pikelet ingredients, except the oil, and mix well. Set aside. Combine the relish ingredients, and the yogurt ingredients, and refrigerate both until ready to use. These are also lovely mixed together for a delicious pink sauce for a change. Heat a thin layer of oil in a non-stick pan and add spoonfuls of the pikelet mix. Cook 1-2 minutes each side until golden brown and crisp. Place on a paper towel in a low oven to keep warm and crisp while you cook the remainder. Serve hot topped with a dollop of the sauce, a strip of salmon and the beet relish.